A lone acacia, known as the Tree of Ténéré, once stood defiantly in northeast Niger. For ages it lived companionless in the vast Sahara desert, the only tree for over 250 miles, until one day, some idiot came along and rammed it with a truck, snapping it in half. It was, of course, an accident – at least according to reports obtained by Stephen Messenger, who writes about the tree's history, biology and untimely fate over at Tree Hugger. The idiot in question is alleged to have been drunk and following a roadway that traced the old trading routes of the region's caravanners. The driver was, reportedly, neither stopped nor identified. Today a metal sculpture of the fallen acacia stands in its stead. The tree itself is interred at the Niger National Museum. We call attention to this story in light of the observation, so recently made, that nature is often perfectly capable of taking care of itself. 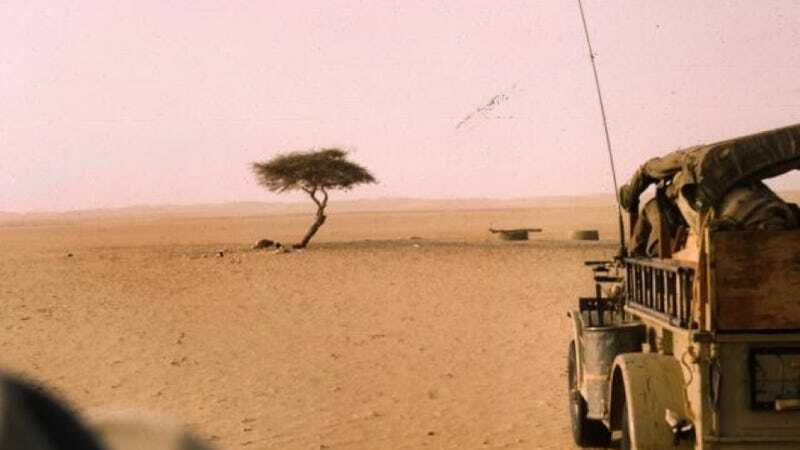 The story of the Tree of Ténéré, after all, is a testament to the fact that, even in the most inhospitable conditions, life has the audacity to persevere. It is also, of course, a pointed reminder that we humans have a seriously awful knack for standing in nature's way. Or, worse still, getting drunk and running it over with a truck (usually metaphorically, but... well... occasionally not).